So you have The Legal Genealogist‘s official permission — as if you needed it! — to go ahead and read a book today. And to honor the legal scheme — the notion of copyright — that encourages authors to write and publishers to publish, all around the world. It’s World Book and Copyright Day 2014. This special day is courtesy of UNESCO — the United Nations Educational, Scientific and Cultural Organization. And it’s a celebration that aims to promote reading, publishing and the protection of intellectual property through copyright. 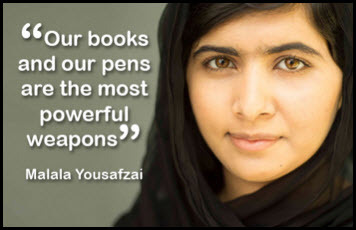 The power of books to advance individual fulfilment and to create social change is unequalled. Intimate and yet deeply social, books provide far-reaching forms of dialogue between individuals, within communities and across time. • for the Memory of the World program, an online register of priceless world heritage items ranging from the 1703 Census of Iceland to the Woodblocks of Vietnam’s Nguyen Dynasty. • the World Digital Library, with thousands of items ranging from maps to photographs and spanning centuries of world history. • UNESCO’s own Open Acces Repository, for documents and reference materials on its activities. So… what about the copyright part? It’s easy to celebrate books, not so easy to make the mental jump to celebrating copyright. We tend to think of copyright as something that stands in our way, keeping us from using something we want, and it often is just that. But it’s also the legal scheme that allows authors and publishers to get paid for their work. And without authors writing and publishers publishing, we don’t have all those books. • United Kingdom: UK Intellectual Property Office. • European Union: The EU legal framework and see the discussion of the EU plan to modernize copyright law at the Creative Commons blog. • And around the world everywhere else (since there’s no way to list them all in one blog post): see the list of copyright offices at the World Intellectual Property Organization. Books. And copyright. Celebrate them both. There certainly is a strange history about the copyright status of that song, and I don’t know enough to know who was right or who was wrong there.